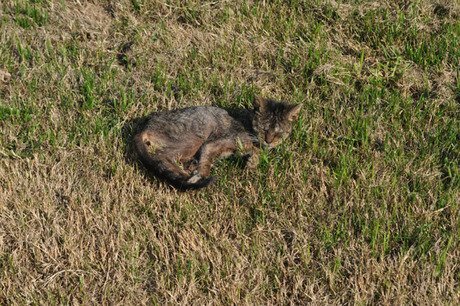 Imgur & Reddit user darkkon was on the way to work when she spotted a furry clump in the lawn outside of the office. 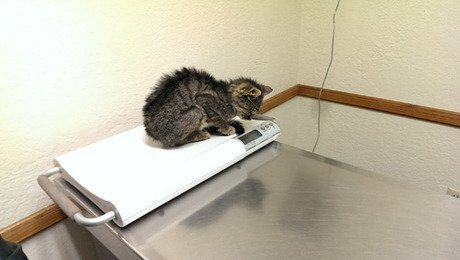 When she went up to inspect the clump they found a very sad, emaciated, blind kitten who was on the brink of death. They were afraid to bring the kitten home because they had two cats of their own and feared that this kitten could possibly pass something contagious and deadly to their already existing feline family. They built an outdoor shelter for the kitten to keep it warm and gave it food and water. 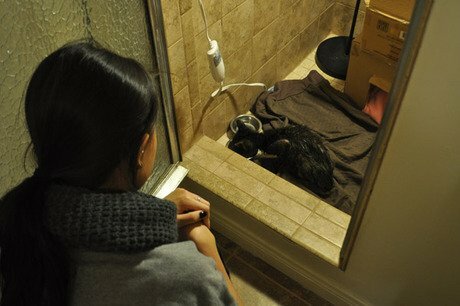 After discussing it, they decided to make a containment area inside their shower to segregate the kitten from their other cats and provide the proper shelter he would need if he were going to recover. Thank God the little kitten tested negative for FIV and FELV. 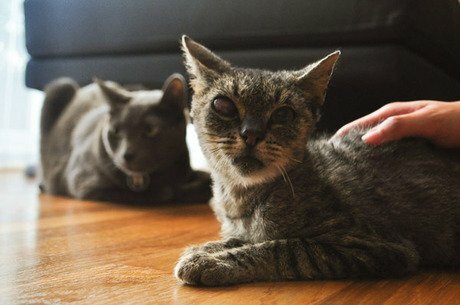 They received support from the Reddit & hitbox community where they shared Mr. Cat’s story and created a 24/7 livefeed to share his progress with those who cared. 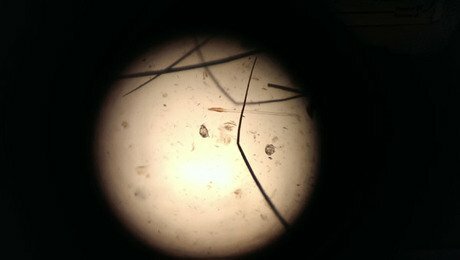 Mr. Cat was improving, parasites were dying and he was actually putting on some weight but they still had the issue of his eyes to deal with. His eyes were infected and swollen shut. They continued to treat his eyes and as the scabs fell off a miracle happened. He regained vision in one of his eyes. “One is better than none” as one stream viewer put it. Mr. Cat now enjoys being touched and belly rubs. He knows he’s being protected by his new friends. He’s still shy and skittish but he’s learning and will hopefully live a long and happy life with his new adopted family. 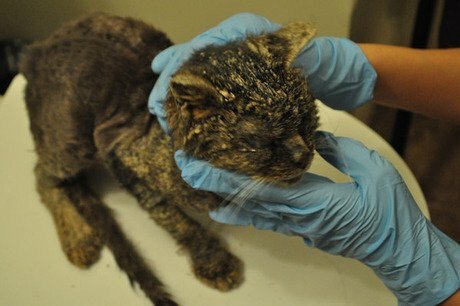 CLICK HERE to see more pics of Mr. Cat and to read his full story.